One of the advantages of finishing school at lunchtime is that you then have all afternoon to do other stuff. Cool stuff like learning to conjugate Latin verbs or learning to dance a modern Spanish Flamenco or learning to play an instrument you’ve been in love with for years. School winter sports have been cancelled so the Drama and Music departments are blossoming. 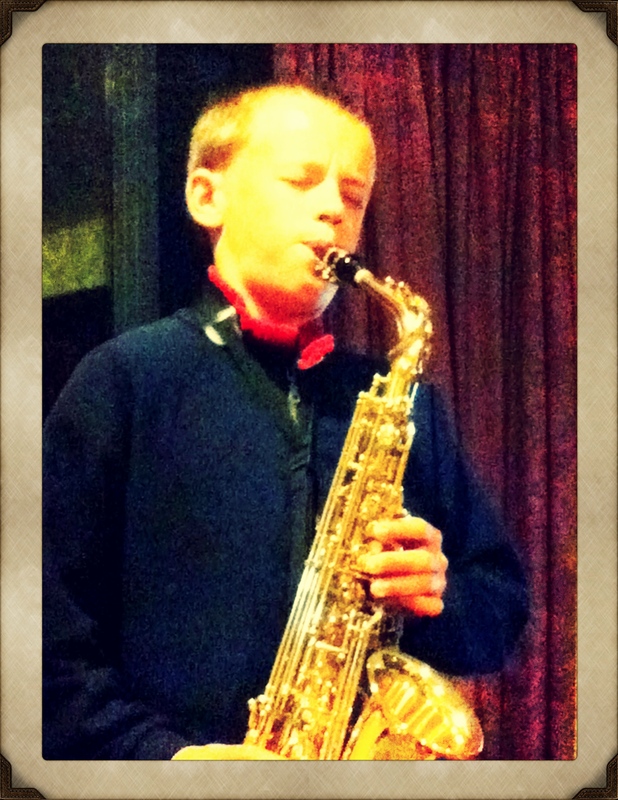 There are Stage Challenge practises every afternoon, Male Voice Choir twice a week, Junior Concert Band and Symphonic Wind groups and of course, the bliss of saxophone lessons as often as you want them. At the end of last year, James won a massive academic secondary school scholarship but despite test scores which qualified him for the accelerated classes in his division, he chose instead to audition for the performance music class. Music is pretty much a mystery to me so it has been a joy to watch him comfortably drawing around himself the mantle of a ‘muso’, carting his instruments to and from school and listening to radio stations that play something other than the current chart-toppers. And being able to smile at the sweet little Year 9s from the Girls’ School as they practise flute and scribble on their scores is the icing on the cake.